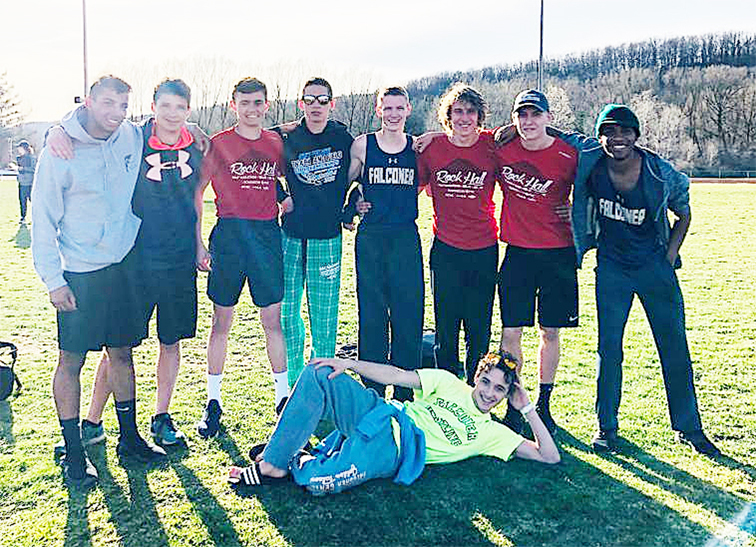 FRANKLINVILLE — Falconer/Cassadaga Valley broke five meet records en route to a second-place team showing at the Frostbite Relays on Saturday. Rayven Sample, Wyatt Harrington, Bryce Baglia, Collin Barmore set a new mark in the 3,200-meter relay with a time of 8:23.9 while Sample, Cervonte Thomas, Sam Pischera and Austin Johns broke the record in the 800-meter relay with a 1:38.3. In the Sprint-Medley relay, Anthony Nalbone, Pischeria, Thomas and Sample set a new mark with a time of 1:40.1 before Joey Pillitteri, Devin Austin, Baglia and Barmore broke the record in the Distance-Medley relay with a time of 10:04.6. Sample, Thomas, Johns and Baglia set the fifth record with a time of 3:37.10 to win the 1,600-meter relay. The Golden Cougars also finished second in the steeplechase relay behind Pioneer’s record time of 9:37.8. In the Shuttle-Hurdle relay, Falconer/Cassadaga Valley was third as Allegany-Limestone set a new meet record of 54.9 seconds. Pioneer won the team title with 120 points with Falconer/Cassadaga Valley in second with 78 points and Allegany-Limestone third with 68 points. Pioneer also won the 400-meter relay with Franklinville/Ellicottville second; Pioneer’s Maxwell Hughes won the 1,600 meters with Barmore second; Mike Rigerman and Grant Wright combined for the long jump title; and Tristan Makowski and Denton Tilly combined for the shot put title. Pioneer also won the triple jump crown; and Justin Siwa and Tray Hill combined for the pole vault crown. Allegany-Limestone’s Patrick Walsh and Connor Walsh won the discus title while Genesee Valley’s Brock Ellsessor and Morgan Torrey won the high jump title. 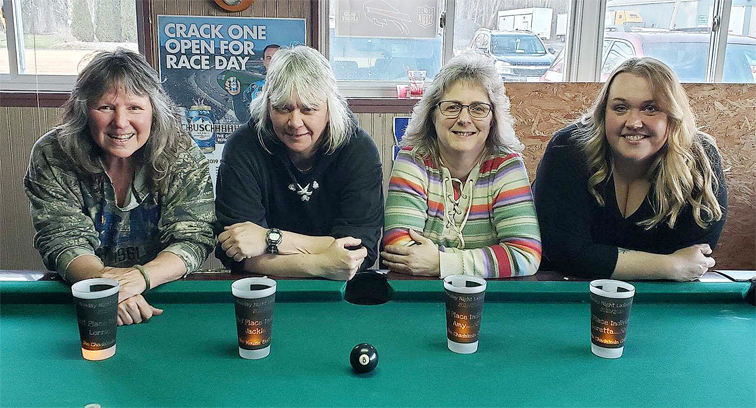 FRANKLINVILLE — Falconer/Cassadaga Valley set two meet records at the girls Franklinville Frostbite Relays. Samantha Gilbert and Grace Lundmark combined for an aggregate distance of 30 feet, 11.5 inches in the long jump for one record, while Rachel Ward and Sarah Disbro combined for an 18-6 mark in the pole vault. Allegany-Limestone, which claimed the team title with 82 points, also set a meet record in the 4×800-meter relay with a time of 12:08.1. Members of that relay were Angelina Napolean, Isabel Porterfield, Lindsey Clawson and Maddie Straub). Following are the team results: Allegany-Limestone 82, Pioneer 71, Franklinville 66, Falconer-Cassadaga Valley 51, Springville 48, Fillmore 39, Frewsburg 33, Cuba-Rushford 28, Nichols 28, Genesee Valley 11, Cattaraugus-Little Valley 5, Gow 0. 3200M relay: Fillmore (A. Burrichter, C. Mancuso, S. Templeton, A. Sylvester), Allegany-Limestone, Falconer-Cassadaga Valley. T– 10:23.3. Shuttle Hurdle Relay: Franklinville (H. Fredrickson, B. Butler, M. Hurlburt, L. Fredrickson), Allegany-Limestone, Cuba Rushford. T–1:05.8. 1500M: Amanda Burrichter (Fillmore), Hally Arrison (Nichols), Acacia Barger (Falconer-CV). T–5:18.9. 4x100M relay: Cuba Rushford (A. Clayson, N. Gable, B. Rouse, A. Belec), Pioneer, Frewsburg. T–54.2. 4x200M relay: Pioneer (M. Bainbridge, S. Weldon, M. Svayczuk, M. Klimczak), Frewsburg, Nichols. T–1:56.5. 4x800M steeplechase: Allegany-Limestone (Angelina Napolean, Isabel Porterfield, Lindsey Clawson, Maddie Straub), Franklinville, Falconer-Cassadaga Valley. T–12:08.1. (meet record). Sprint Medley relay: Pioneer (M. Bainbridge, A. Rigerman, M. Matuczak, M. Klimczak), Allegany-Limestone, Frewsburg. T– 1:59.2. Distance medley relay: Allegany-Limestone (S. Fortuna, L. Clawson, M. Straub, A. Napolean), Springville, Nichols. T — 12:36.7. 4x400M relay: Allegany-Limestone (G. DeCapua, S. Fortuna, J. Walsh, M. Voegelin), Fillmore, Pioneer. T–4:31.8. High jump relay: Cuba Rushford (Summer Mattison, Sydney Williams), Springville, Franklinville. H–8-8. Shot relay: Franklinville (Zoey Green, Meganne Chapman), Pioneer, Fillmore. D–54-7. Discus relay: Franklinville (Green, Chapman), Genesee Valley, Allegany-Limestone. D–180-7. Long jump relay: Falconer-Cassadaga Valley (Samantha Gilbert, Grace Lundmark), Pioneer, Franklinville. D–30-11.5. (meet record). Triple jump relay: Falconer-Cassadaga Valley (Gilbert, Ella Eckstrom), Allegany-Limestone, Springville. D–65-10.75 (meet record). Pole vault relay: Falconer-Cassadaga Valley (Rachel Ward, Sarah Disbro), Franklinville, Springville. H–18-6. HARBORCREEK, Pa. — Maple Grove’s girls finished sixth with 50 points, Clymer/Sherman/Panama’s girls finished seventh with 45 points and Maple Grove’s boys were 11th with 20 points at the Harbor Creek Track & Field Invitational on Saturday. Christina Peppy took second in the 3,200 meters (13:13.25) and Alyssa Steen was the runner-up in the shot put (32-2™) for the Lady Red Dragons. Tessa Mozzi was third in the discus (85-2); Courtney Hemminger was fourth in the shot put (30-1) and fifth in the discus (80-3); and Elsa Gruber was fifth in the 100-meter hurdles (17.66) and 10th in the 300-meter hurdles (53.76). Cydney Amoroso led the Wolfpack with a second-place showing in the 200 meters (27.48) and a third-place finish in the 100 meters (13.4). Karianne Yuchnitz tied for second in the high jump (4-11) while Kylee Odell was third in both the 1,600 meters (5:24.51) and the 800 meters (2:30.25). Maple Grove’s Bryn Mozzi and Emma Foley tied for fifth in the high jump (4-9); teammate Marisa Schuppenhauer was sixth in the long jump (15-1™); and the Lady Red Dragons’ Ava Crist was seventh in the 800 meters (2:32.69). 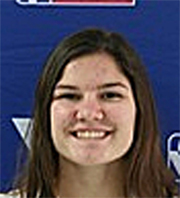 Other Maple Grove finishes were by Abby Brunenavs, who was ninth in the 1,600 meters (5:53.35); Bryn Mozzi, who was eighth in the 200 meters (28.79); and Steen, who was ninth in the discus (75-3). Clymer/Sherman/Panama’s Emily Mills was ninth in the 3,200 meters (13:13.25). The Wolfpack’s Yuchnitz, Carris, Justine Kuno and Amoroso were fourth in the 400-meter relay (54.06) while Maple Grove was fifth (54.10). In the 1,600-meter relay, Yuchnitz, Carris, Amoroso and Anneke White were fifth in 4:34.70. The Lady Red Dragons were third in the 3,200-meter relay while the Wolfpack was sixth. In boys action, Maple Grove’s Carson Crist was fourth in the 110-meter high hurdles (16.02), fourth in the long jump (20-3) and sixth in the high jump (5-9). Darius Jones tied for fifth in the pole vault (11-6) and ninth in the 300-meter hurdles (45.13) while Caleb Foley was eighth in the long jump (18-10¢). Teammate Riley Auer was sixth in the 400 meters (54.47) and 10th in the pole vault (10-0). The Red Dragons relays finished ninth in the 3,200 meters (9:52.57), 10th in the 1,600 meters (3:57.68) and 10th in the 400 meters (47.9).